HER striking looks, simplicity, elegance, mellifluous voice and flawless diction prompted the audience to adopt ‘Pepsi’ Uma as one of their own. As she entered drawing rooms of Tamil Nadu and the world through satellite, she cushioned herself comfortably in the hearts of the Tamil people. 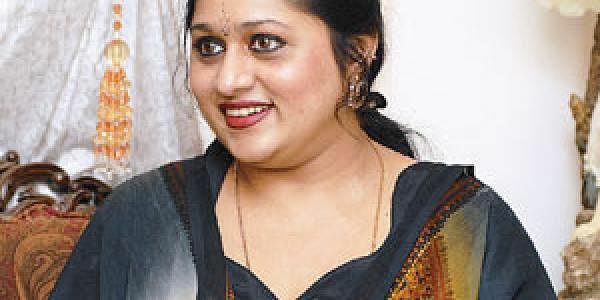 Despite being in the limelight for more than 16 years as a successful VJ and with the ‘star’ label attached to her, Pepsi Uma is one celebrity devoid of any airs whatsoever. “No one recognizes me if I call myself Uma. They only recognise ‘Pepsi’ Uma. If not for Kalanidhi Maran I wouldn’t have acquired this star status,” she shares. Even after taking a break from the media for the past one-and-a-half years, Uma was surprised when the maddening crowd followed her and showered her with love and affection during her recent outing. While VJs turning to acting has become the new trend, Pepsi Uma was very clear about not taking the leap despite being offered projects with big names like Rajinikanth, Subhash Ghai, and K Balachander. “I was not tempted by the lure of films in spite of a number of offers. Once I was called by Subhash Ghai and he told me that I’m going to be acting opposite Shah Rukh Khan and he wanted me as the heroine. But I conveyed my disinterest and he tried his best to convince me, but I convinced him instead,” laughs the VJ, as she talks about the choices she made. Uma was also offered a commercial with Sachin Tendulkar but turned it down since she had issues with the costume. “Within ten seconds of starting the show, calls would pour in during my show,” says Uma as she reminisces about the days gone by. “The decision to discontinue with TV was mine and I don’t want to dig into the past. I’ve no regrets. Now I’d like to shows like Oprah Winfrey and Karan Johar” she says with a smile as she signs off. But we slip in a question about her husband Sukesh? “He knows my space and I too give him his space and you need a certain maturity for that.” Balancing her business (Krypton Engineering, her family business and she also owns a production company) and her family, the elegant lady seems to have her hands full but is sending out the right feelers to bag a chat show, we think.